José (nicknamed Neto) was born and raised in Assis, São Paulo. From a young age Neto had a passion for soccer and played competitively on numerous teams. Neto graduated from Instituto Educacional de Assis with a bachelor’s degree in Physical Education and a partial degree in Exercise Physiology. Neto has been a member of Igreja Batista Filadélfia since 2007. In 2005, he was invited by friends to their small group Bible study. Two years later, Neto gave his life to Jesus Christ and was baptized in 2008. Neto married his wife Rose on March 1, 2008. Neto has participated in Open Arms since September 2011, when his church partnered with Open Arms to open an outreach project in the neighborhood Vila Progresso. Shortly after, Neto also started working with the soccer outreach program. In December 2011, Neto led the Open Arms soccer team to participate in its first national tournament. Neto has worked as a soccer trainer for children of all ages and adults, in both amateur and professional arenas. He is currently employed as a PE teacher by the city of Assis. Neto is currently participating in a theology course offered through his church, during which, his eyes have been opened to the importance of ministry and missions. He is also taking English classes, and welcomes any opportunity to play or coach soccer. 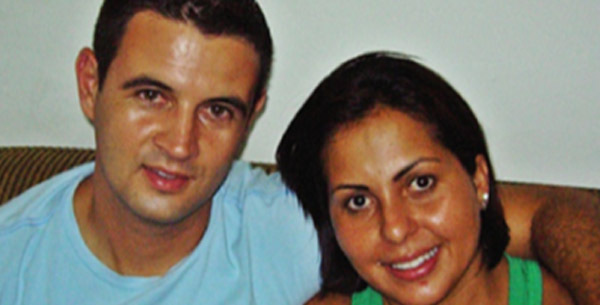 To learn more about Agents of Hope Neto & Roseli de Souza click HERE.